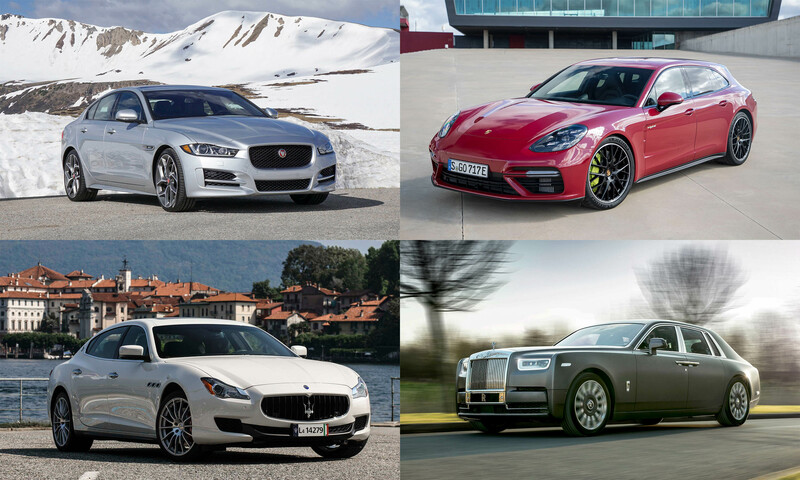 The concept of a luxury car means different things to different people, and often it depends not only on the features or price point, but also on personal perspective and perception. 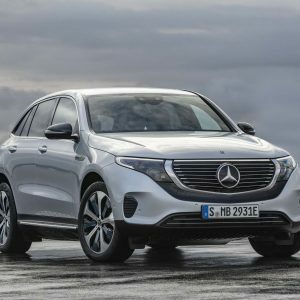 The driver of a 15-year-old econobox might think any new car is a luxury, while someone used to cruising in a $100,000 Mercedes might be slightly harder to please. Let’s consider what a luxury sedan might look like for those within just about any new-car budget. Keep in mind that vehicles listed here are within ranges — final prices could be slightly higher or lower than the range shown. Mazda forged a solid reputation in the U.S. creating fun-to-drive cars, and the Mazda3 certainly delivers on that promise. But with its latest iteration, the compact sedan moves upscale in both features and design. The bold grille and accentuated curves in the bodywork are integral to what Mazda calls KODO — Soul of Motion design. The optional Soul Red Metallic paint — combined with Grand Touring’s 18-inch dark-finish alloy wheels, black metallic-finish grille and LED headlights — certainly help it stand out from the crowd. Inside, the Mazda3 Grand Touring comes with perforated leather seats, a Bose 9-speaker surround-sound audio system and available advanced safety features. 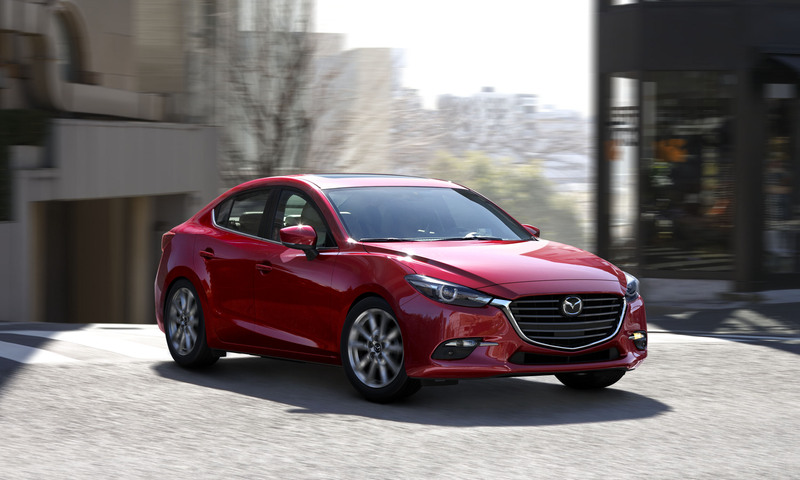 Add to these a 184-horsepower fuel-efficient engine and a choice of manual or automatic transmissions and the Mazda3 challenges all expectations of what a compact sedan can be. 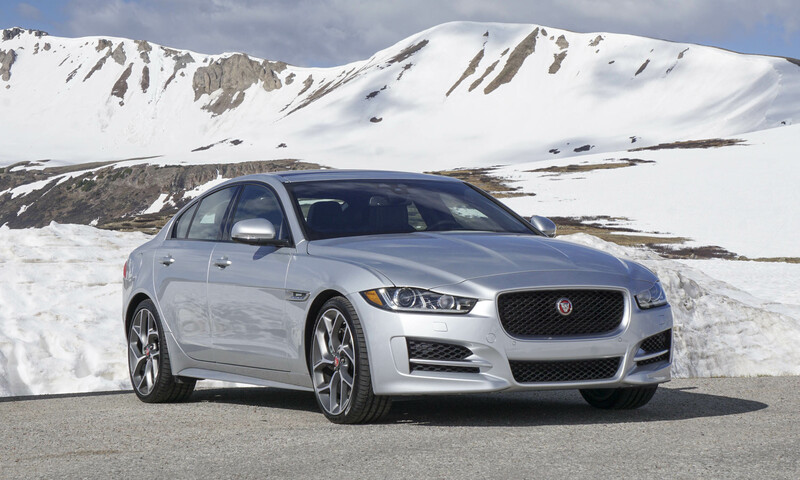 All new last year, the XE sport sedan holds court as the entry vehicle in Jaguar’s luxury lineup. Those who remember the X-TYPE from the early 2000s will be happy to hear the XE is nothing like that early sedan. Sporting the same stylish grille as the higher-end XF and XJ, the XE offers the luxury expected of a Jaguar without the associated price tag. The XE Prestige comes loaded with 10-way power-heated leather seats, power lumbar support, mood lighting, dual-zone climate control with solar sensing, a power moonroof, rain-sensing wipers, a power-adjustable steering column, voice control and a Meridian 380-watt sound system. Jag XE buyers have a choice among three powerplants, although to achieve the price point listed here would require choosing the 2.0-liter turbocharged 4-cylinder engine generating 240 horsepower. Once the $60,000 price range is attained, the choices among American-made luxury sedans get extremely slim, although the Cadillac CTS certainly holds its own against European counterparts. 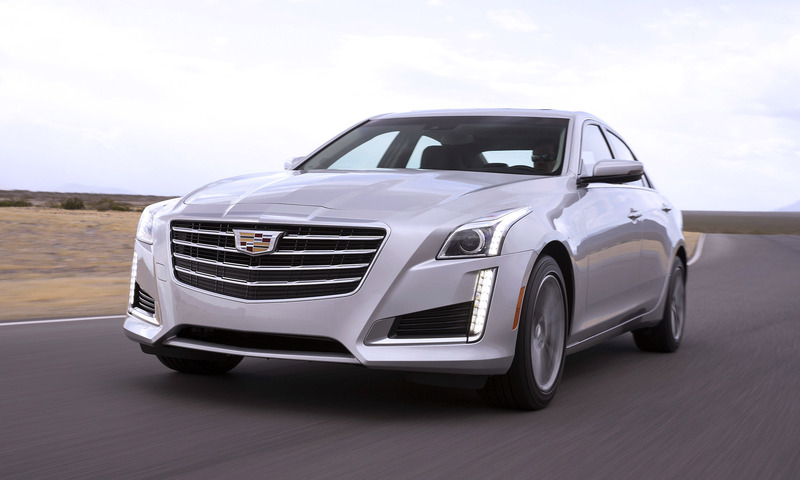 Like models from across the pond, the CTS boasts a blend of luxury amenities, the latest in high-tech features as well high performance. 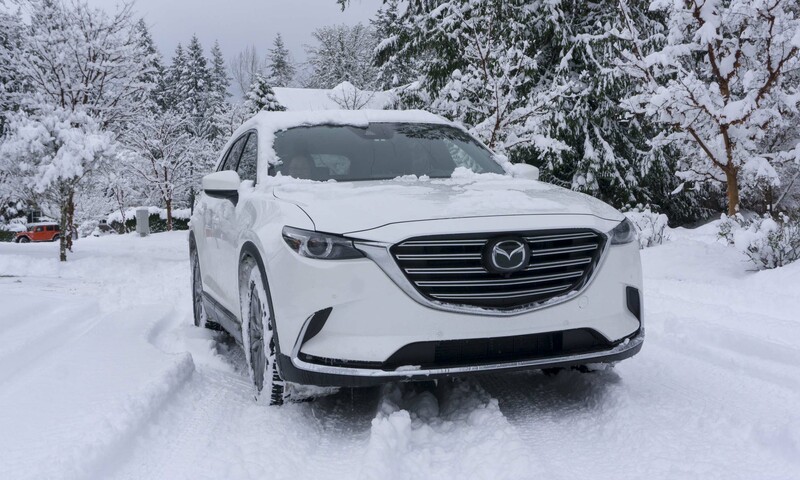 The Premium Luxury trim level has a 3.6-liter V6 engine producing a plentiful 335 horsepower, while a sport-tuned suspension and front Brembo brakes provide excellent handling and stopping power. Stylish both inside and out, the Cadillac CTS features heated and cooled front seats, leather trim, tri-zone climate control, heated rear seats, a rearview camera mirror and a power sunroof. The CTS Premium Luxury also is equipped with the latest safety technology, including forward collision alert and rear cross-traffic alert. The flagship sedan of Toyota’s luxury division, the original Lexus LS 400 debuted as a 1990 model and soon challenged the traditional players in the luxury car segment. 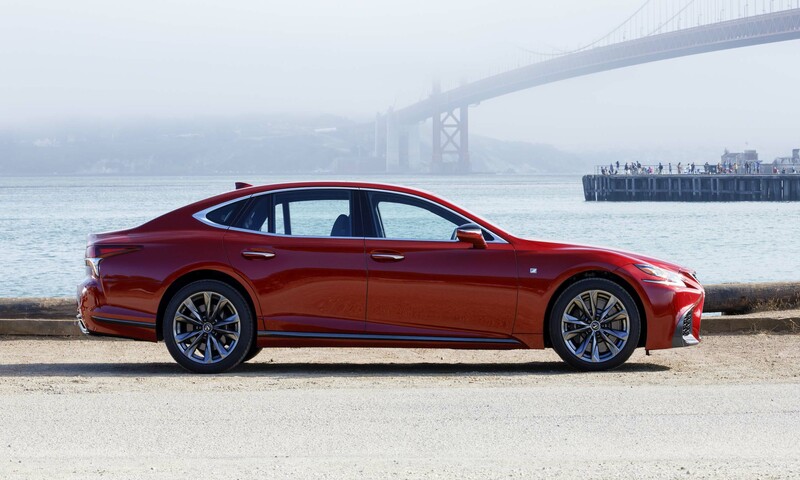 Redesigned for 2018, the all-new Lexus LS 500 is longer, wider and lower than its predecessor, with a more coupelike roofline and the latest iteration of what is now the trademark large spindle grille. With 416 horsepower coming from a new 3.5-liter twin-turbo V6 engine, there’s no lacking in performance. Inside, occupants will find a level of comfort, luxury and technology expected of a Lexus flagship with elegant wood and leather trim throughout. For those seeking a bit more dazzle, the LS 500 F-Sport adds a unique grille, enlarged side grilles, exclusive 20-inch alloy wheels and available Ultra White paint. Once this luxury list hits the $100,000 mark, most folks might assume that whatever gets highlighted would be rather exclusive. 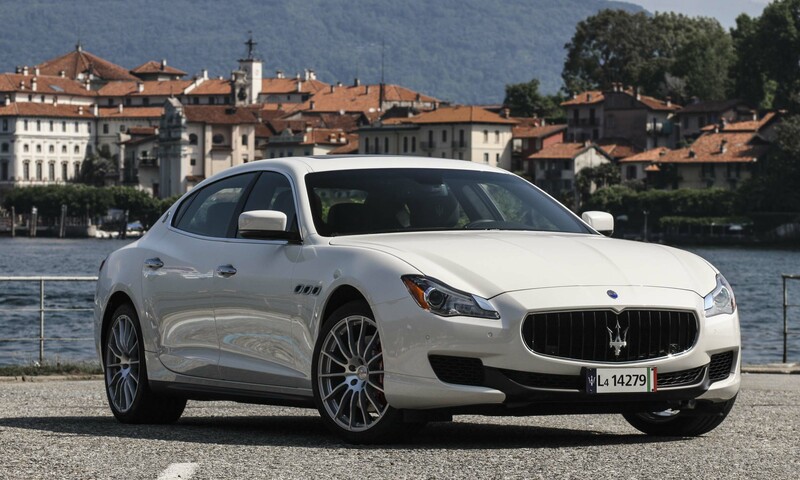 This isn’t necessarily true, but if exclusivity is important we suggest the Maserati Quattroporte. The flagship of the Maserati line, the Quattroporte is handmade in Modena, Italy, and features an elegant interior with fine Italian leather and real wood trim. In addition to the traditional niceties, the coachbuilder has embraced technology with a Maserati Touch Control screen, adjustable pedals, a rearview camera and an optional 15-speaker Bowers & Wilkins audio system, as well as a WLAN-based Wi-Fi system. Best of all, under the hood lurks a Ferrari-built V8 engine that emits a sound so amazing even those who aren’t looking will know something special is motoring by. The Audi S8 is one of the most powerful luxury sedans on the market, and it certainly looks the part. From its bold platinum gray grille and full LED headlights to its quad exhaust pipes and 21-inch Audi Sport wheels, the S8 clearly differentiates itself from the standard (but still impressive) A8. Under the hood lurks a turbocharged 4.0-liter V8 engine pumping out 605 horsepower and 617 lb-ft of torque. 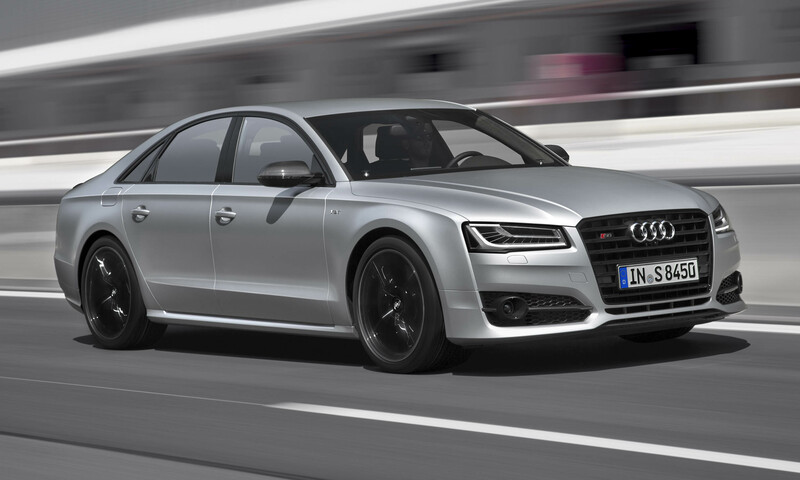 Power is directed to Audi’s legendary quattro all-wheel-drive system. With all that grunt, this big luxury sedan can hit 60 mph in a mere 3.7 seconds on its way to a top track speed of 190 mph. Of course, the big question with this car is whether to drive or just enjoy the ride in the luxurious leather-trimmed rear seats with available entertainment system. 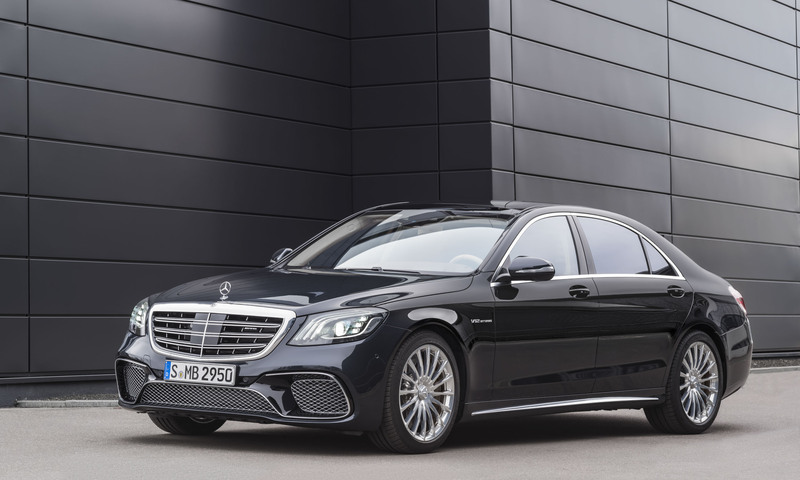 Mercedes-Benz and AMG have a long history of building high-performance models, and this includes high-powered versions of its flagship S-Class sedan. The powerful S63 stands out with AMG bodywork that includes large air intakes in the front apron, flared side sills, 20-inch AMG 5-spoke wheels and — a hallmark of the AMG line — the AMG performance exhaust system with quad exhaust outlets. The interior has a unique flat-bottomed AMG steering wheel with aluminum paddle shifters in addition to the luxurious accoutrement found in the standard S-Class. At the heart of the S63 is a hand-built 4.0-liter biturbo V8 engine that produces an impressive 603 horsepower and 664 lb-ft of torque. 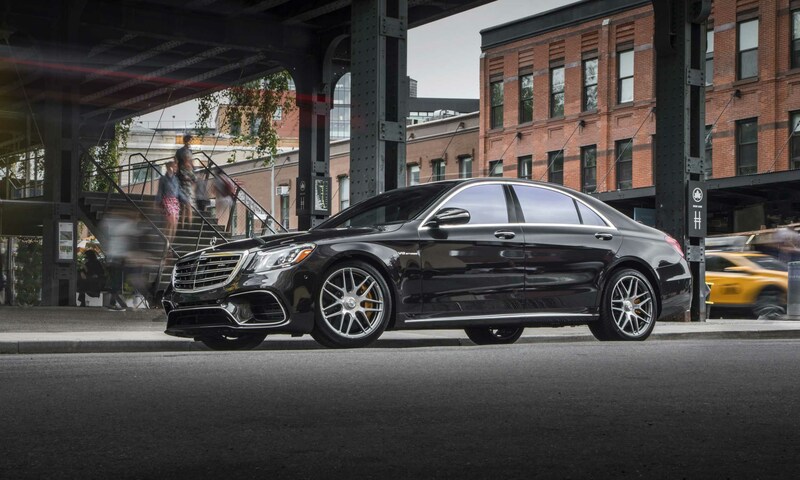 Teamed with an AMG Speedshift 9-speed transmission, the S63 rockets to 60 mph in a mere 3.4 seconds. 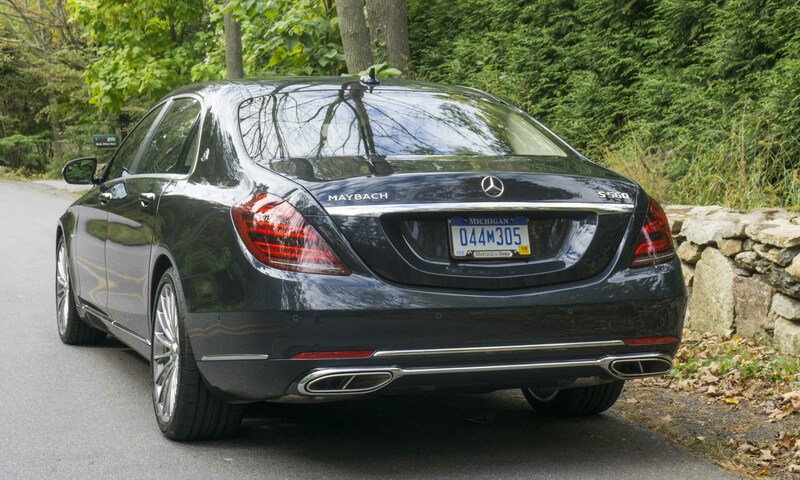 This number is nothing short of amazing, since this very large luxury sedan weighs in close to 5,000 pounds. 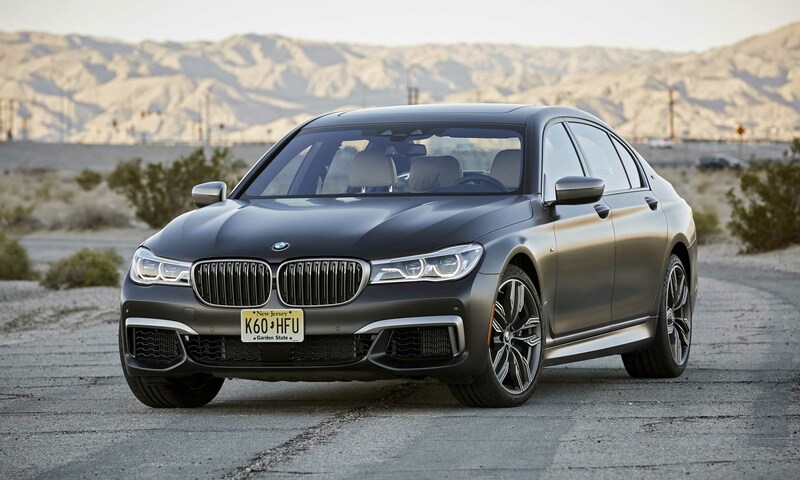 The 7 Series is the flagship of the BMW family, and this M760i xDrive sits at the pinnacle of the 7 Series lineup. The big sedan combines the utmost in luxury with impressive performance to create the ultimate high-performance sport sedan. Rear-seat passengers enjoy big, comfortable seats that recline, massage, heat and cool while they experience the high-end video entertainment system. But the driver’s seat is the one to choose. With a TwinPower Turbo V12 engine producing 601 horsepower and 590 lb-ft of torque, this big sedan can reach 60 mph in 3.7 seconds, boasting a top speed limited to 155 mph. Full-time all-wheel drive and legendary BMW handling make this a luxury-performance sedan for any season. 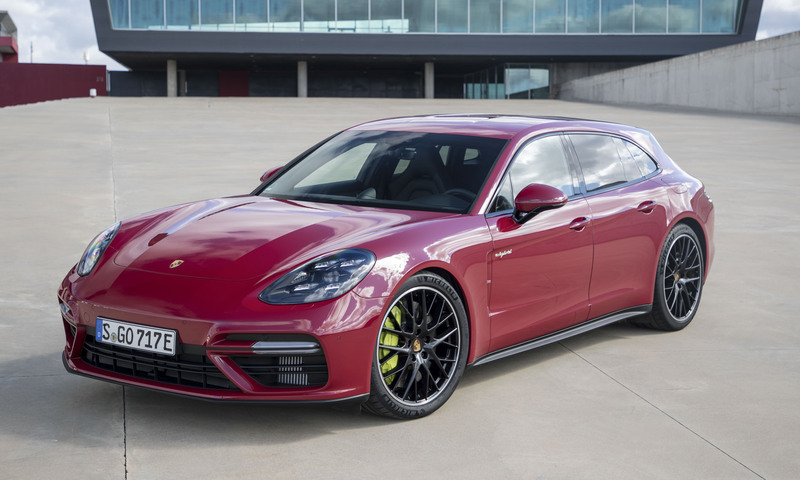 Porsche makes some major changes to the Panamera lineup this year, adding the stylish Sport Turismo bodystyle as well as a line of more powerful hybrid powertrains. The Turbo S E-Hybrid is now the ultimate example of Porsche 4-door performance. Under the hood lurks a powerful twin-turbo 4.0-liter V8 engine teamed with an electric motor to produce 680 horsepower and 626 lb-ft of torque — enough grunt to move this big luxury sedan to 60 mph in 3.2 seconds with a top speed exceeding 190 mph. Although the driver’s perch would be the hot seat in this car, rear-seat passengers can enjoy the view through a panoramic sunroof from their individual bucket seats with leather trim and available massage functions. And with the available rear entertainment system, passengers can enjoy their favorite racing movie on the way to the track. 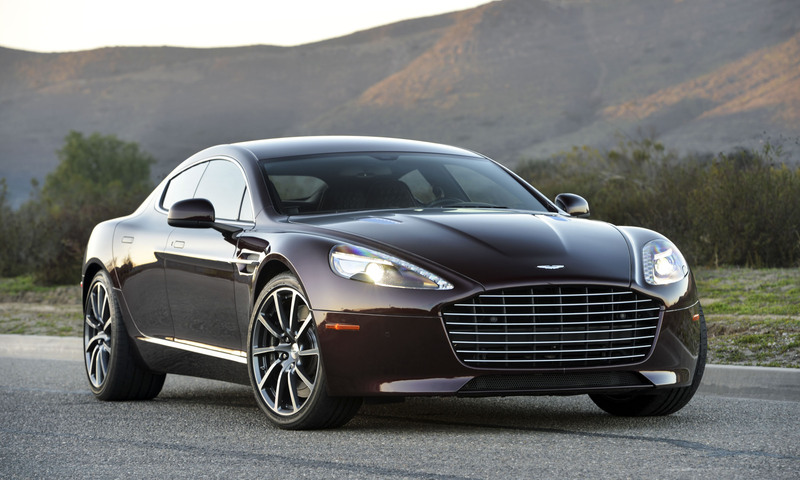 Like the Porsche Panamera, the Aston Martin Rapide S fits the bill as a 4-door sports car. Although it doesn’t quite achieve the performance levels of the Porsche, the Aston more than makes up for it with incredibly good looks. 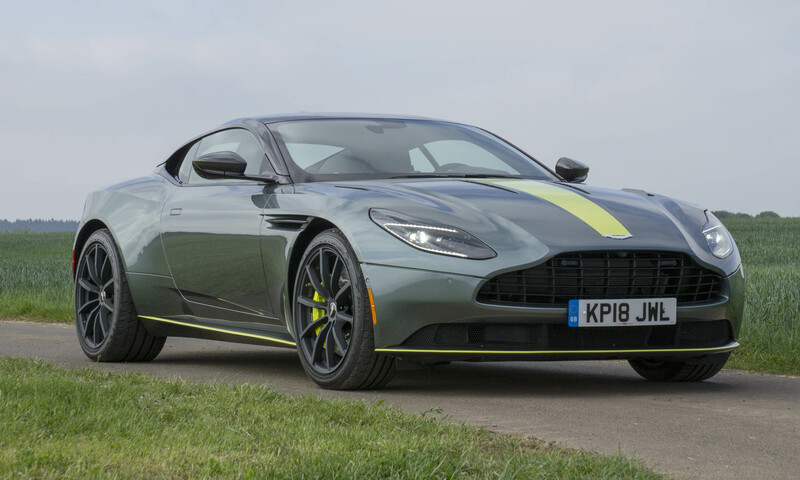 No one would ever call the Aston underpowered — it sports a 6.0-liter V12 engine with more than 550 horsepower and a top speed exceeding 200 mph. Stunning from every angle, the Rapide S is even more impressive inside. 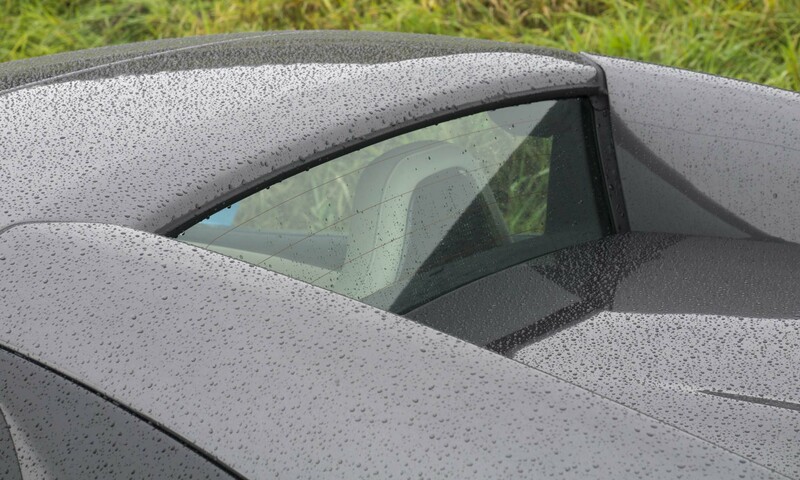 Customers may choose from more than 100,000 variations of leather, diamond-quilted leather, perforated leather and Alcantara in a variety of colors to personalize this luxurious sedan. Residing at the top of the Mercedes luxury-car lineup is the very expensive and very rare AMG S65. This car is as much about luxury and performance as it is about exclusivity and prestige. While the S65 twin-turbo V12 badge on the side is worth the price of admission, fortunate owners do get plenty of car for the price. As the badge indicates, the S65 boasts a hand-built 6.0-liter V12 engine that delivers a smooth 621 horsepower and 738 lb-ft of torque. Teamed with that powerful V12 are large high-performance composite brakes, AMG active sport suspension, AMG sport exhaust, dynamic cornering assist and Magic Body Control. Inside, passengers enjoy soft Nappa leather trim, heated and cooled front and rear seats with massage, a cabin fragrance system and an executive right-rear seat with power-operated footrest. Bentley has been building cars since the 1920s, becoming one of the most widely recognized luxury brands in the world. The W12 S is the new flagship of the Flying Spur line, providing an excellent combination of luxury and extreme performance. 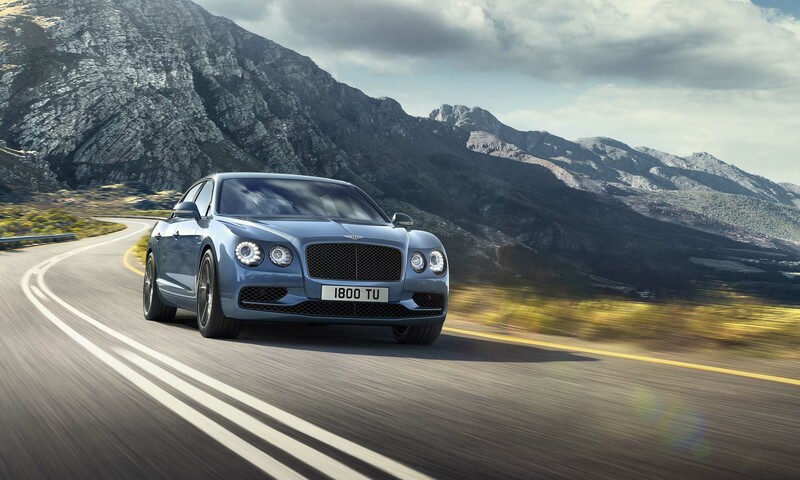 With its massive 6.0-liter twin-turbo V12 engine under the long hood putting out 626 horsepower and 605 lb-ft of torque, this is the first 4-door Bentley to have a top speed of more than 200 mph. Facilitating these incredible performance stats are a new suspension, optional carbon-ceramic brakes and all-wheel drive. As much fun as the W12 S would be to drive, the back seat is not such a bad place. Rear seats get swathed in premium-quality soft leather with 14-way adjustments as well as heat and ventilation. Almost 10 square meters of sustainably sourced natural wood is used per car in mirror-polished veneers for the fascia panels, consoles, waist rails and picnic tables. No other brand exemplifies luxury better than Rolls-Royce, and the Wraith embodies a unique offering from the legendary British marque. 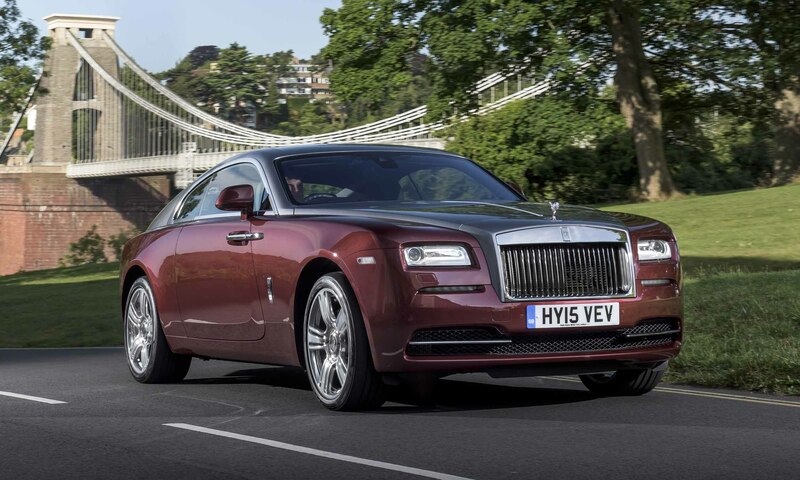 Rather than mimicking the stately sedans usually associated with Rolls, the Wraith is a fastback with sleek lines and the most powerful engine the marque has ever offered. 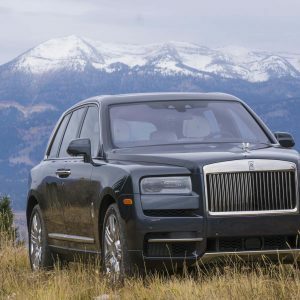 Although Rolls-Royces have always been advertised as having “adequate” power, the 624 horses produced by the Wraith’s V12 are clearly more than adequate. Rear-hinged coach doors allow easy entry and exit, and upon ingress occupants will be surrounded by the softest leather and Canadel Paneling. A unique feature to Rolls-Royce is the Starlight Headliner — 1,340 fiber-optic lamps hand-woven into the roof lining to give the impression of a glittering, starry night sky. 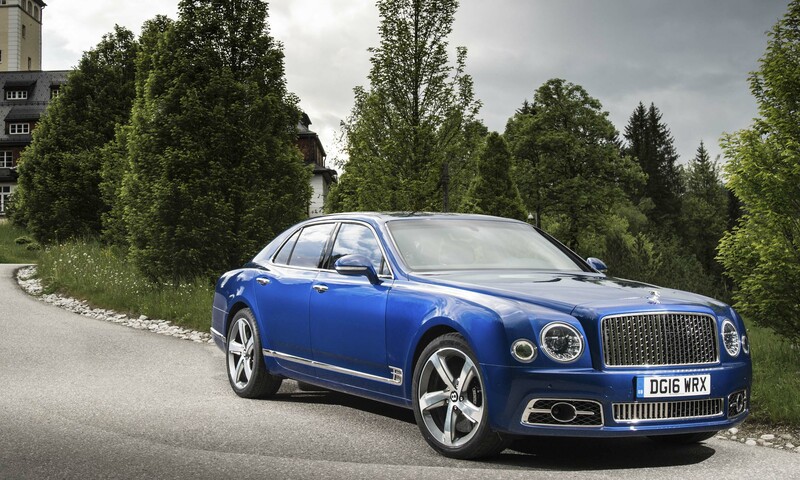 The Mulsanne Speed is a perfect example of the classic large and powerful Bentley. 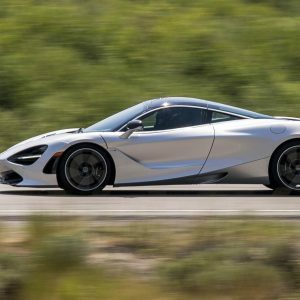 The car weighs almost 3 tons and stretches more than 18 feet long, but with a 6.75-liter twin-turbo V8 producing 537 horsepower and a whopping 811 lb-ft of torque, it easily reaches 60 mph in under 5 seconds while boasting a top speed of 190 mph. The Mulsanne Speed’s driver-adjustable air suspension can focus on comfort or stiffness to optimize performance and handling. The lavish interior features diamond-quilted leather on seats and door panels, a leather headliner, piano-black veneer with handcrafted carbon-fiber inlays, and an embroidered Bentley emblem on each seat. A 60 GB onboard hard drive stores music for the driver and films for rear-seat passengers to view on 8-inch screens. A frosted glass bottle cooler — replete with crystal champagne flutes — can be installed in the rear armrest, and power-operated tables can be fitted to the rear of the front seats. If there is a bar against which all luxury cars are judged, the Rolls-Royce Phantom is well above it. The legendary British marque has introduced an all-new 8th-generation Phantom that has been completely redesigned from the ground up. 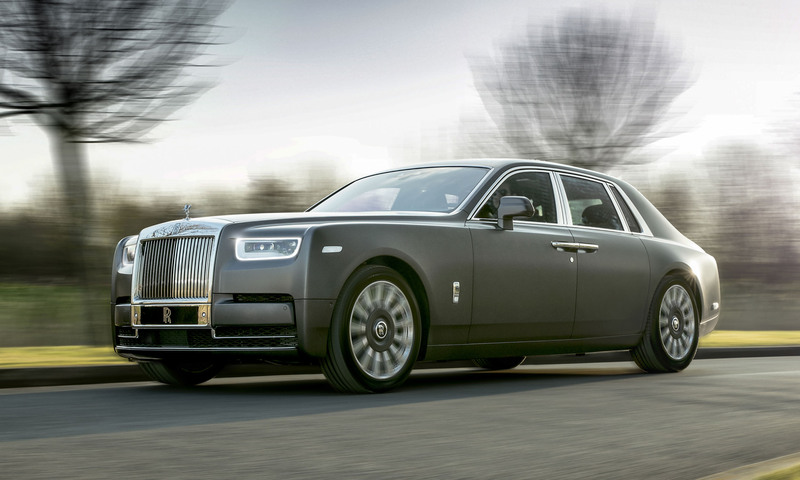 In addition to the added stiffness of a new aluminum spaceframe, the Phantom features Rolls-Royce’s “Magic Carpet Ride,” which can adjust the air suspension continuously for the smoothest of rides. The system uses a camera to look at road conditions and adjusts proactively to rough road surfaces. The elegant rear seat is accessed through larger rear-hinged doors that can be softly closed with the push of a button. 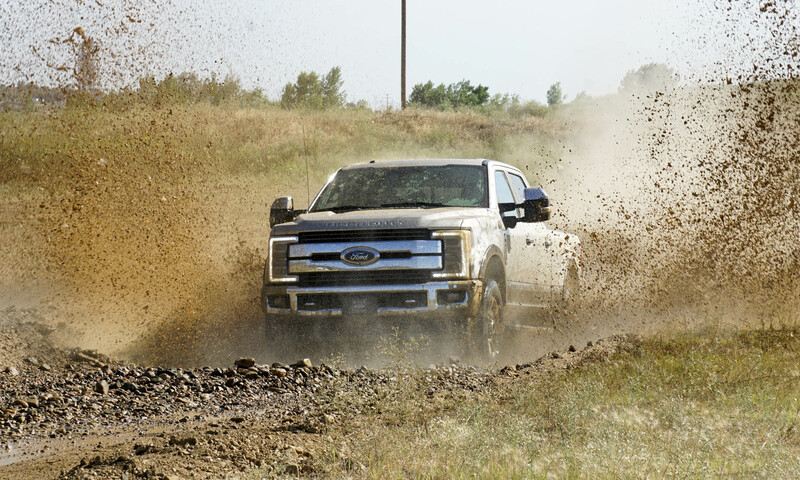 The gamut of standard features is too long to list here, but it includes the latest in advanced safety technology, the highest-quality materials and just about any level of customization a customer could desire.